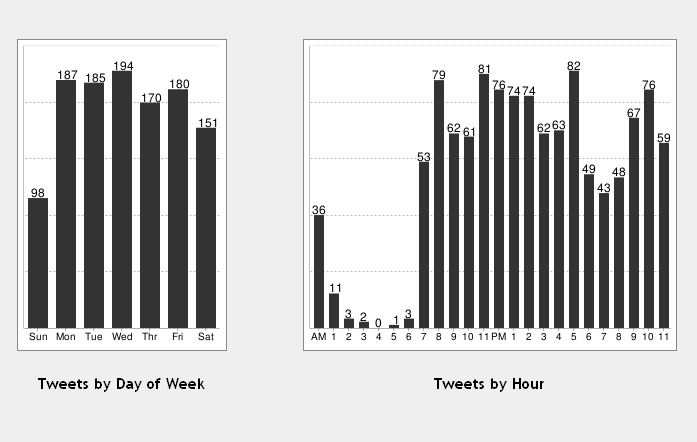 I ran this fancy little program to analyze my twitter usage this morning; just out of curiousity. I have never sent a tweet at 4 a.m. in the morning. I’ve at least sent one every other hour of the day. I feel like if I should ever decide to send a tweet at 4 a.m., it has to be something ground breaking. When do you tweet most? Now needless to say, all of those comments came from people who have no clue what Twitter is. For everyone who somehow still doesn’t know what twitter is, please take the time to GO HERE and be told everything you need to know. Now go, sign up for Twitter, and be sure to follow ME.